Sicily's Mount Etna volcano is currently erupting. The series of explosions began on October 26, but on November 11, the mountain did something rare and nifty. Over the course of several hours it blew out dozens of perfect smoke rings, each hundreds of feet in diameter, including the one pictured here. It's not the first time Etna has done this. 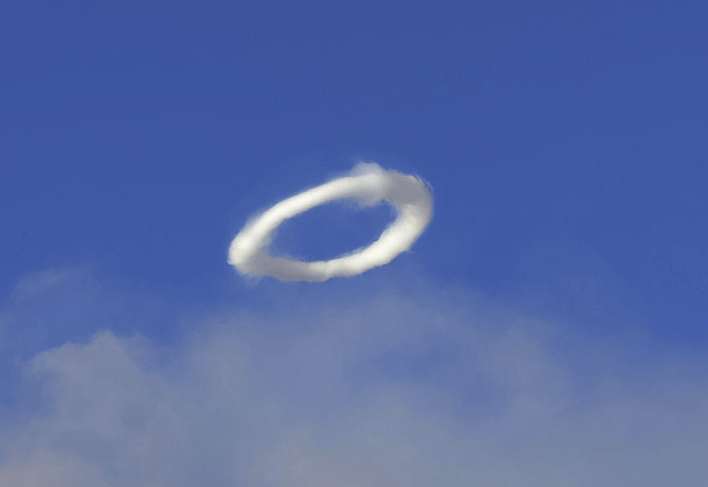 Nobody knows exactly how the rings form, but people have been photographing smoke rings coming from Etna since at least 1970. Volcanologist and tour guide Tom Pfeiffer took this picture, as well as several others that you can see at his Volcano Discovery website. He suspects that the smoke rings are formed when eruptions alter the shape of volcanic vents.